Life's messy, clean it up! Since January is the traditional time to organize, I'm on a mission to clean and organize every space in the house. Ha! We'll see how that goes. The Master Bath seemed like a good place to start. Under the sinks were first, then I opened the linen closet. Things didn't look tooooooo bad. But the baskets were hiding the mess. then put everything back. Each baseket and container was cleared out, wiped down, sorted and put back. Between the trash and the pile for the Goodwill, I filled a whole trash bag. Don't let the lack of a big chunk of time get in the way of keeping things neat. If you only have 15- 30 minutes, clean out a shelf at a time. 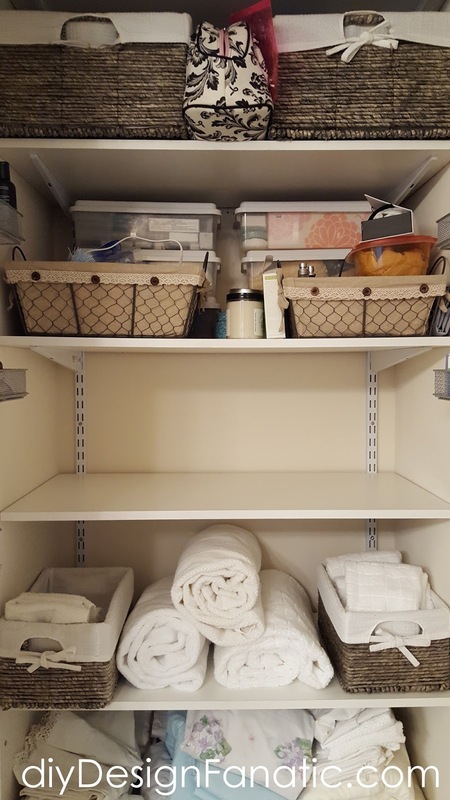 Do the easy shelves first - it will motivate you because you've accomplished something and you'll keep going. I can't stress enough to use baskets and containers to coral your stuff- Big baskets, medium basket, small baskets - I use them all. 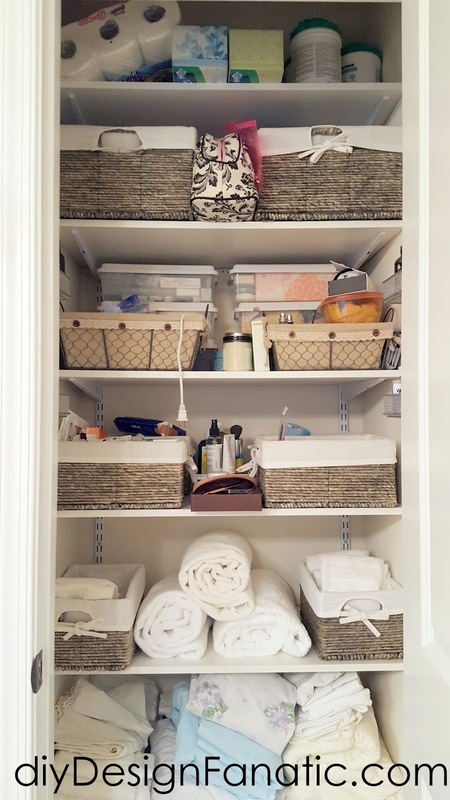 So what space of yours is begging to be organized? Kitchen? Closets? Bathrooms? Garage? Crawl Space? Yep, all of the above for me. Looks great! I love using baskets too! Thanks Heather! Baskets can hide a lot and make things look organized! 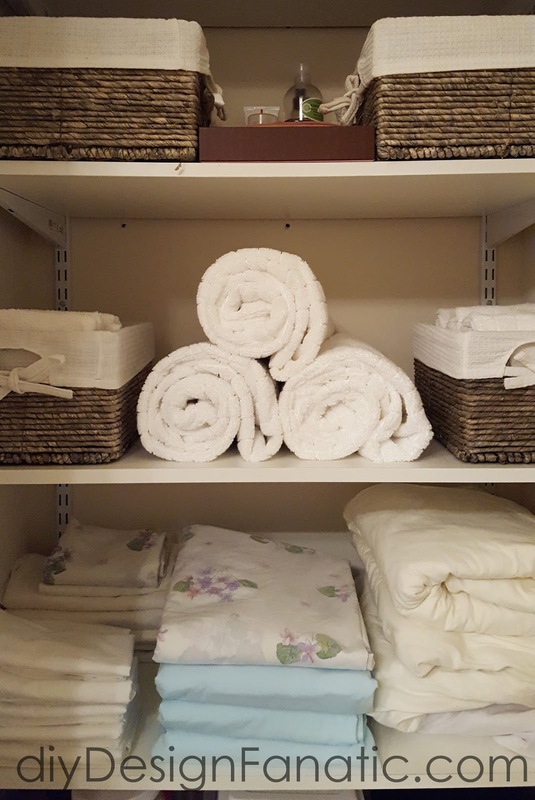 I have to constantly organize our linen closet! I love your tips and those baskets are so darn cute. 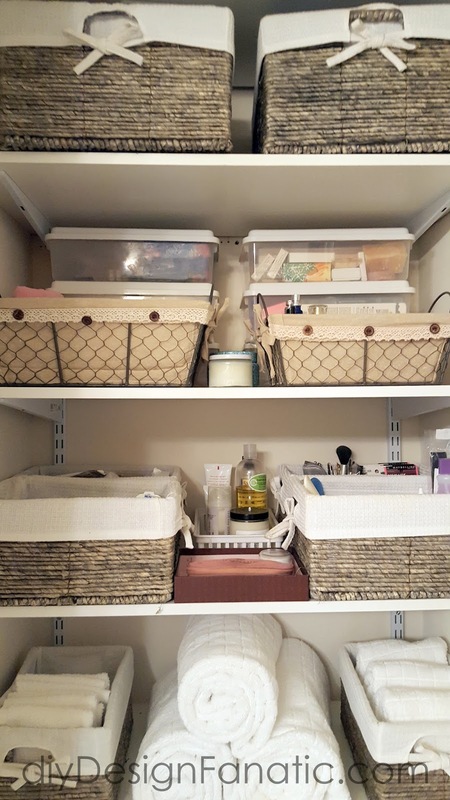 I have 2 large baskets that hold soap, lotions, first aid, etc. The rest of my shelves are devoted to towels, sheets, shower curtains ( must have at least twelve--I just love switching up my bathroom every few months! ), and bathroom rugs. It is packed. Sadly, these things don't fit in baskets. I just try to keep everything neat, and definitely rotate all your linens so they stay fresh. 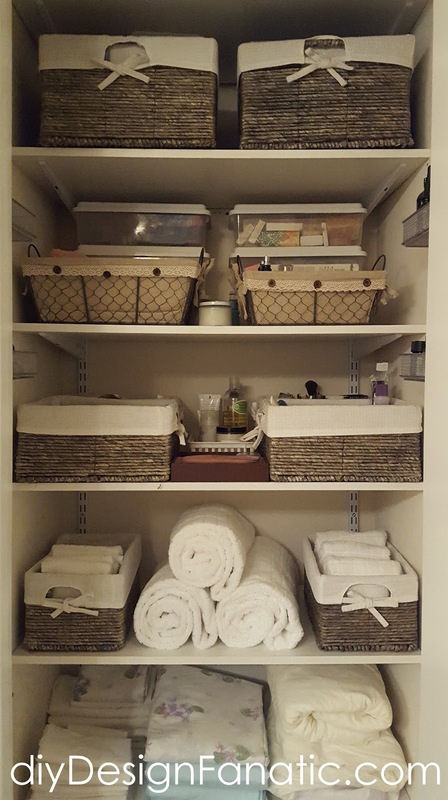 I keep extra rugs in our hall linen closet and you're right , they're too big for a basket. I just fold them neatly and set them on a lower shelf. I keep baskets on the middle shelves where your eyes look when you open the door!